It’s important you set up your library account so you can access databases and e-books from off-campus. In the upper left hand corner, click on My Account (drop-down option under "My Account" tab). On the library account login page, click Set/reset password directly underneath the Sign In button. In the box that opens, enter your NU ID # and click "Request new password." An email with instructions will be sent to your UNO email account. The link in your email will take you to the screen shown below. 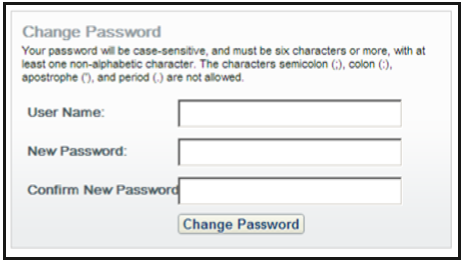 Fill in the fields and click "Change Password." You can now login to your library account and access eBooks and databases with your NU ID # and newly created password. If you have any questions or issues regarding setting up your library login, please call the Service Desk at 402-554-3206.